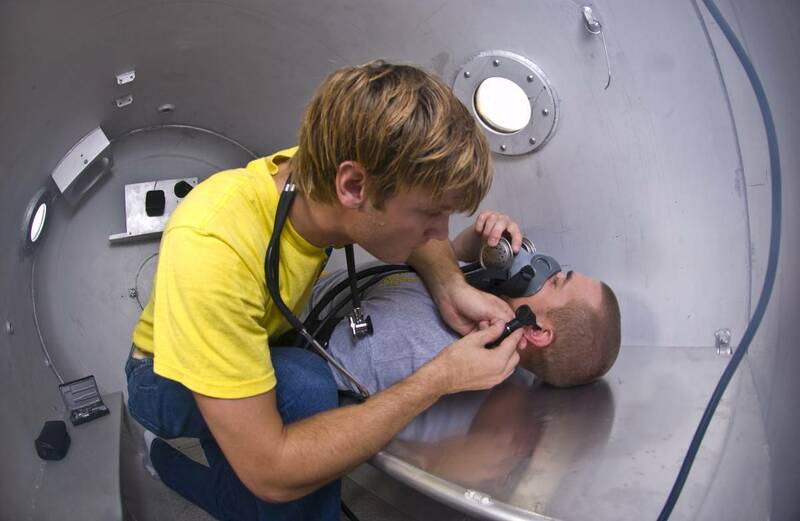 "Dive Medical Technicians make safer, more prepared and more experienced divers." Commercial divers, who perform such tasks as conducting underwater research, capping off-shore oil and gas wells, fixing or laying pipeline, and splicing or repairing telecommunications cables that lie on the ocean floor, routinely work at depths of 150 to 300 feet, often stay under water for up to 30 days, and may even dive up to 1200 feet. In responding to emergencies such as broken pipelines, they are often required to work under extreme weather conditions, and they frequently operate heavy equipment that can lead to grave injury in case of an accident. 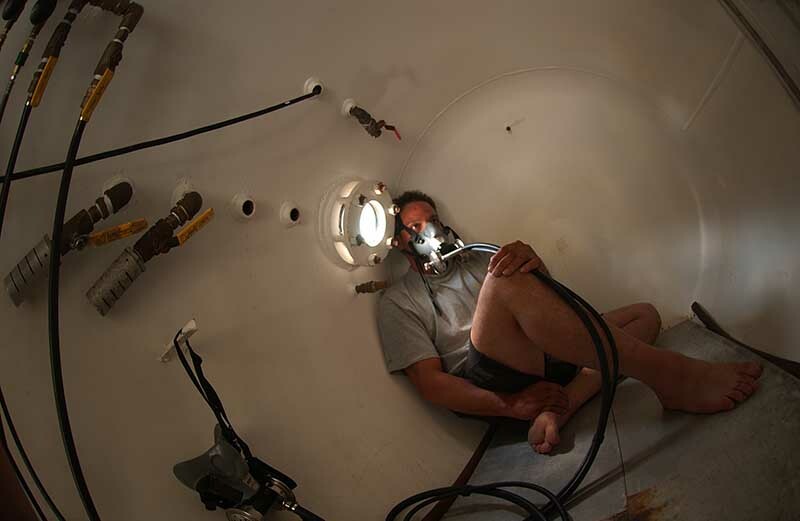 If injured under water, these divers must be brought to the surface using high-tech pressurized chambers, a process that can take hours. To protect these workers and ensure their prompt treatment in case of a medical emergency, both the United States Coast Guard and the federal Occupational Safety and Health Administration require that diver medic technologists are present at all employer sponsored dives. 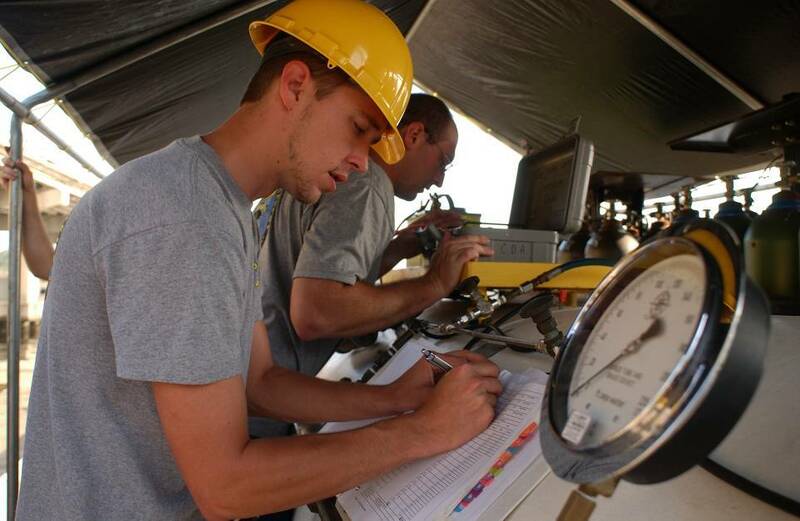 Dive medics are required on-site in all offshore diving. 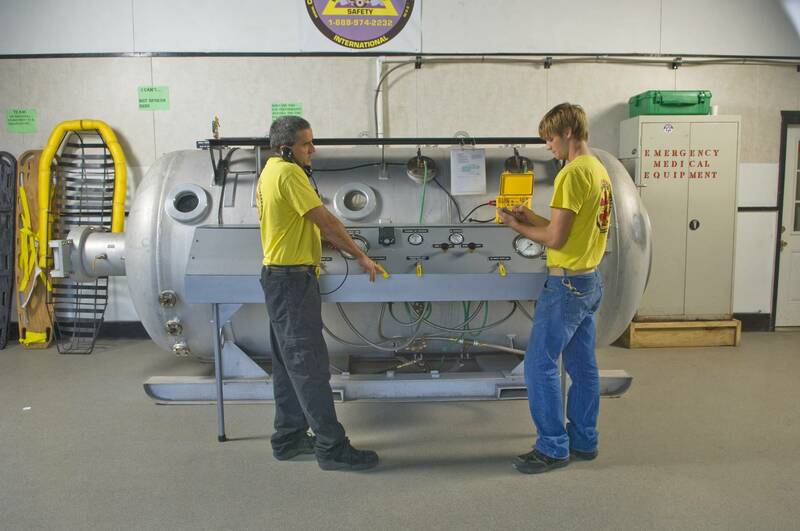 Students will learn to operate a hyperbaric chamber using treatment tables and O2 to treat dive injuries. All divers who take this program will gain a greater understanding of the science of diving and, in turn, be smarter, safer divers. The student who successfully completes this program will qualify as a DMT advanced by NBDHMT. Diver Medic Technician Training Programs are designed to help save the lives of commercial divers who are injured while working on off-shore locations such as oil rigs, archaeological points of interest, and oceanographic sites. These sites often are located hundreds of miles from the nearest hospital or emergency room and are accessible only by boat or helicopter. If a person is injured at these sites, transportation to a hospital or emergency room could take hours; however, life-threatening injuries often require treatment within the hour. In such situations, seriously injured people often would die without the immediate medical intervention provided by diver medic technicians. The Dive Medic Program teaches the kind of medical procedures used by emergency rooms and other physicians to revive patients and save lives. Such techniques include advanced resuscitation and cardiac techniques that open blocked airways, relieve life-endangering buildup of pressure in the chest cavity and lungs, replace lost body fluids and blood, and close open wounds. These programs also teach diver medic technicians how the body responds physiologically to varying underwater pressures. That knowledge is used in two ways. First, it allows diver medic technicians to treat diving-related injuries such as decompression sickness—a possibly life-threatening condition that occurs when divers surface from the depths of the ocean too quickly. Second, knowing how the body responds to changing pressure allows dive medic technologists to bring injured divers to the water surface safely and treat their injuries until they can be evacuated. Small classes allow for individualization in an environment that fosters intellectual exchange and practical, hands-on instruction. In assuming its role in the development of professional divers and dive medics, CDA is keenly aware of its responsibility in promoting an unyielding commitment to the highest standards of safety and offering the most up-to-date methods and practices in the field. To this end, the Academy is committed to continuing to develop and maintain strong partnerships with businesses in the region and making use of state-of-the art technology and training resources within the industry. The program of study at CDA Technical Institute (CDA) requires a minimum of 1 week. The maximum number of weeks a student may participate in training is 2 weeks. Click here to read a recent DMT graduate's success story.